Regional organizations are one of the most important demonstrations of the high level economic and political cooperation between states. Today, in the international arena, there are numerous regional organizations shaped by the regional conditions and the regionalist perceptions of the founder states. This study explores the lessons learned from the experiences of Southeastern Europe Defence Ministerial (SEDM) Process and its operational/military body, namely Southeastern Europe Brigade (SEEBRIG). It analyzes the challenges and limits which those initiatives face and explores the motivations for the current attempts in different problematic areas. For this aim, firstly a conceptual framework for the integration projects and regional organizations are provided. Then, a brief examination on SEDM and SEEBRIG and their historical performance is depicted. A number of lessons learned that can be drawn from the unique and common experiences of the SEDM Process and SEEBRIG as a multinational/regional military body is represented afterward. Main issues are then examined under the bullets of the concept of military operation, clear and functional mandate, international credibility, the degree of both commitment and cohesiveness among members, the institutional identity, and organizational structure. Baba, G. and Slotter, S. (2014). Successful Peacekeeping by Regional Organizations: Necessarily Hybrid. Uluslararası Hukuk ve Politika 10(37), 1-28. Berenskoetter, F. (2010). Identity in International Relations. In The International Studies Encyclopedia. (ed.) Robert A. Denemark, Oxford: Wiley–Blackwell. Beth A. Simmons, B.A. and Martin, L.L. (2012) International Organizations and Institutions," in Handbook of International Relations, eds. Walter E. Carlsnaes, Thomas Risse, and Beth A. Simmons. New York: Sage Publications, 192-211. Björn, H. and Söderbaum, S. (2006). The UN and Regional Organizations in Global Security: Competing or Complementary Logics? Global Governance 12, 227–232. Boehmer, C., Gartzke, E. and Nordstrom, T. (2005). Do Intergovernmental Organizations Promote Peace? World Politics 57, 1-38. Boutros, B. (1992) An Agenda for Peace Preventive diplomacy, peacemaking, and peace-keeping”, Report of the Secretary-General pursuant to the statement adopted by the Summit Meeting of the Security Council, 17 June, A/47/277 - S/24111. ISNAD Sahin, Hakan . "Promises and Perils of Regional Organizations in Southeastern Europe: Lessons Learned from SEDM and SEEBRIG". 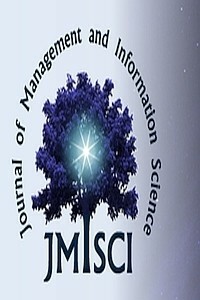 Journal of Management and Information Science 4 / 4 (December 2016): 108-114.